Here is one of those things that I rarely or ever get to write about, an anime about games. To be more specific shows that revolve around a game that every character plays which is incorporated into the story. There’s been plenty of these series for a while, including a famous one but we’ll get to it soon enough. To give you a better understanding of what I’m talking about here’s Selector Infected WIXOSS. Becoming a new student is hard enough for Ruuko Kominato but her brother tries to help her out by giving her a deck of cards called WIXOSS, a popular trading card game. 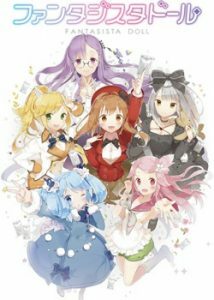 While playing a game, her cards start to talk to her and she finds out that she’s a Selector, a special person who can communicate with the avatar on the cards. This is where Ruuko story begins in her quest to become the best. 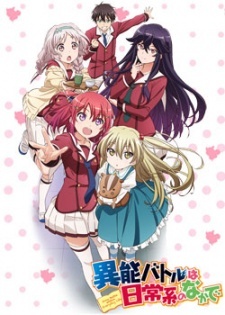 This show I feel that a lot of people are going to overlook it or probably find it as another show with cute girls that plays some kind of card game, but it is indeed more than just that. Simply put, it’s an amazing show to watch and I do have series that are similar to it. Here are 8 Anime Like Selector Infected WIXOSS. The Magical Girl Raising Project is the popular social game, that allows one in tens of thousands of people to be a “magical girl.” But they announced that the can only have a limited of magical girls in order to solve the problem of magical energy. At first, it seems an innocent game of collecting magical candy but it turns into something way more dangerous than anyone could have predicted. 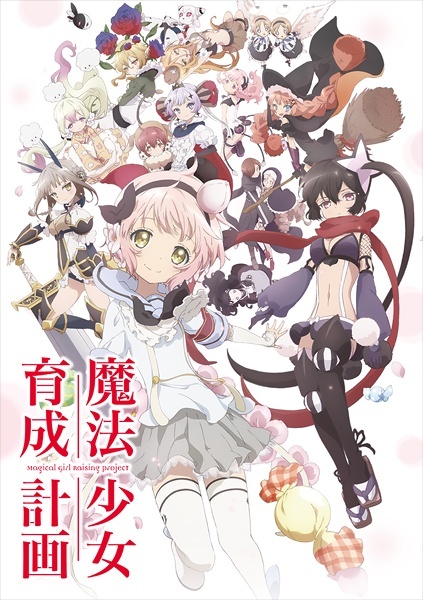 I’ve written this show not that long ago and still recommend for those who wants a good show about magical girls. 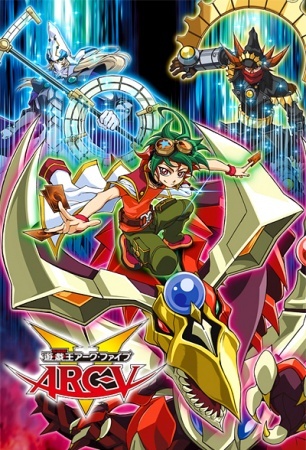 A young boy by the name of Yuya Sakaki is a student at a preparatory school, learning to become an “entertainment Duelist,” a type of professional Duelist. As he trains to become the best, taking on those who are stronger than him, and taking a step forward with courage! Some say that this is the best in the series, I may argue on that but it isn’t hard to see why people would say that. Check it out, if you are into the Yu-Gi-Oh franchise. A timid middle schooler by the name of Aichi Sendou, is always constantly bullied. To make matters worse, a very rare card that was given to him when he was very young, is taken from him by a thief. Aichi challenges the thief to a game in order to win the back his card in a game of Cardfight!! Vanguard. 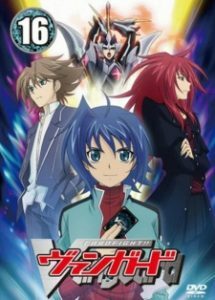 After this incident, Aichi gets draw into the world of Vanguard and starts to grow as a person from there on. This is a shockingly good show, it may seem like a knock off of Yu-Gi-Oh but it is not. Give it a chance. As a former champion of a trading card game competition,Uzume Uno is trusted with a special device. It contains five powerful Fantasista Dolls, of which they have special kind of powers. Although there seem to be people who want to steal the device, they have to go through Uzume and her dolls. Overall, Fantasista Doll is amazing, I love the concept of the card battle, I really liked the character Uzume and her Dolls, and I enjoyed the entire package that Fantasista Doll brought. Yuki Judai is a new student and in hopes of becoming the next King Of Games. 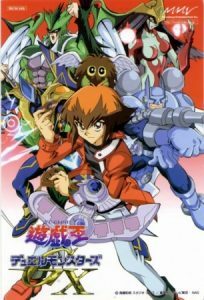 Judai makes new friends, meets the teachers, and even made some enemies at the large Dueling school. There he’ll have to face off against several different Dorms in order to become number one. Will Judai be able to pass all of them? After coming off from the first series, this show not only found its footing but was able to become its own thing. In short, watch this when you get the chance. Two siblings get transported into another world, where they must complete each challenge and if they win they become gods of this new world. But the stakes gets high when their lives are on the line. Can they manage to stay alive? I’ve written this before so short to the point, I beg you to watch this anime. It’s great, trust me. 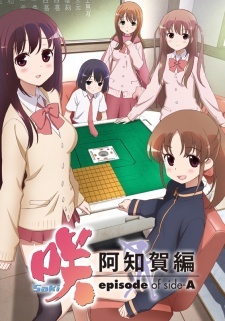 A high school freshman named Saki Miyanaga, just doesn’t like mahjong, ever since she was a child. Yet despite this, she is being dragged to her school’s mahjong club by an old friend. Will this end badly or find her true calling? This was a fun show to watch from beginning to end. 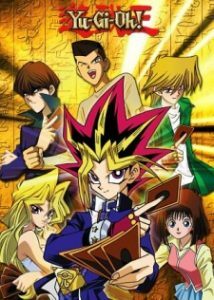 Yuugi Mutou was once a normal kid at his high school with his best friends but after winning a card game of Dueling Monsters, his life is about to change forever. This show came out over 16 years ago, and it is still very good till this day. If you are ever curious about how the series became so big, then you should start with this series.